extreme fatigue and a complete brain fog! It really stinks! But hopefully things will be back to normal in a couple more weeks. So my last post was about the upcoming Fall season. And as I was walking around our front yard I was thinking about what I wanted to do to make my home Fall ready. And not only that but holiday ready, which will be right around the corner! 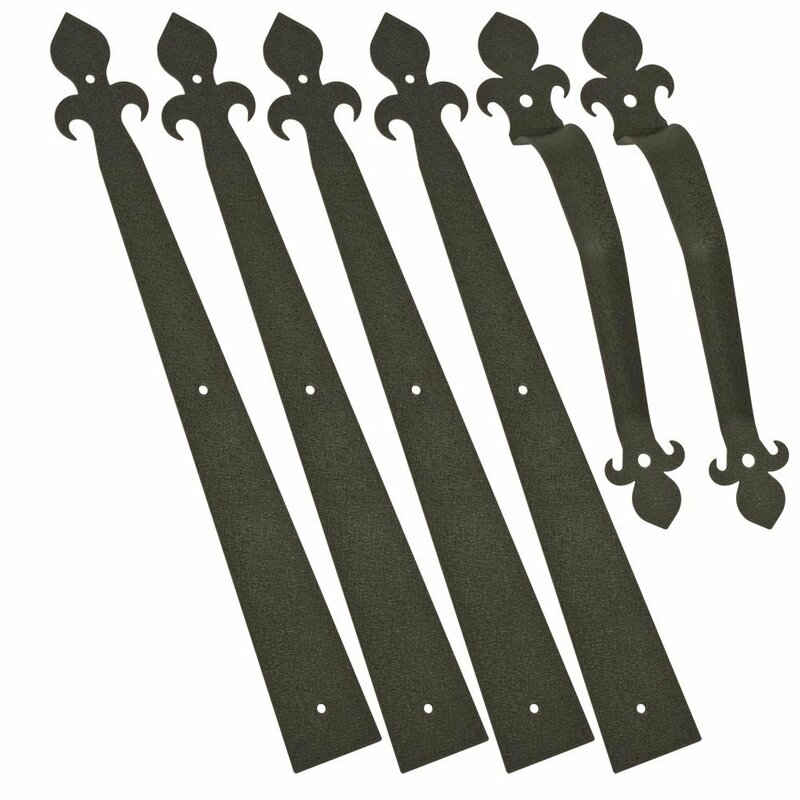 I just purchased this decorative Fleur-De-Lis Garage door kit to give my garage door a carriage door look. 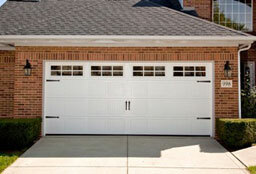 I love the look of a carriage style garage door. As in this picture. But our garage door is not that old and we really don't want to spend the money replacing a perfectly good door. So this is second best. You can purchase these from Amazon. They even have faux windows that you can purchase as well. I'll have some before and after pictures once we get them installed. This is a must in the Fall. Especially after our rainy season. Everything around here becomes mildewed because we have a lot of trees it stays wet and doesn't have a chance to dry out. 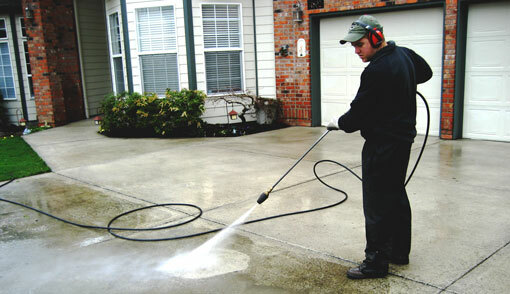 Make sure you also pressure wash your driveway, sidewalks, walkways and porches. 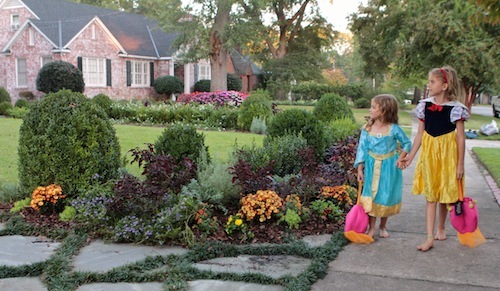 Your front door is the first thing that someone sees when they come to your home. Give your door a fresh coat of paint. 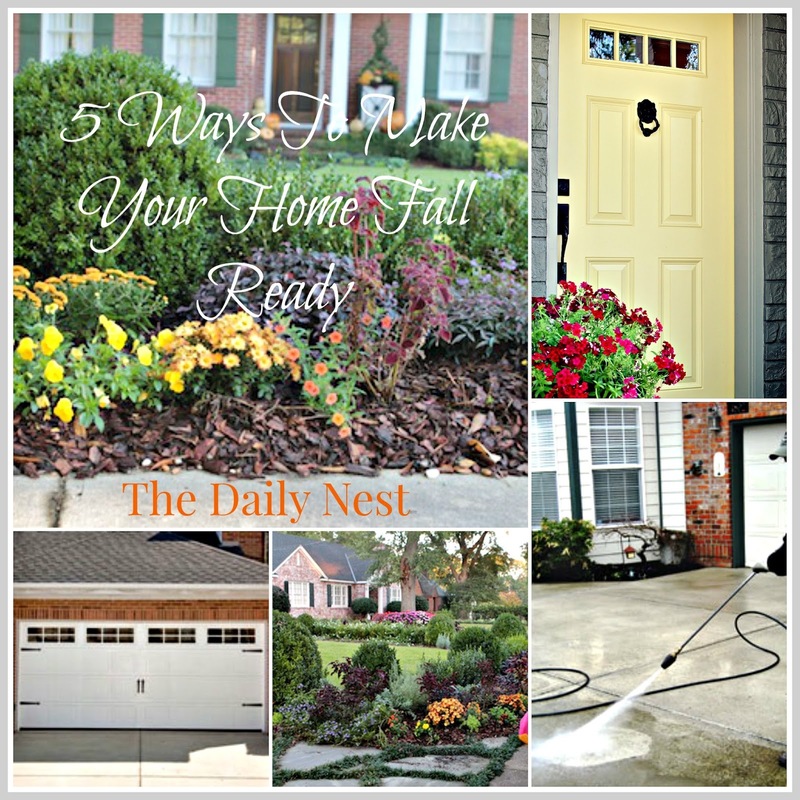 Purchase some pretty fall flowers to place on either side of your door way. Add a new welcome mat, and make sure your light is free of dead bugs. Also check all your exterior lights and replace any burned out bulbs. This is a great way to welcome Fall! It's so pretty to have a welcoming color display of flowers that will last all season long. With all the rain the mulch in our flowerbeds can get washed out. It also becomes faded with the Florida heat. 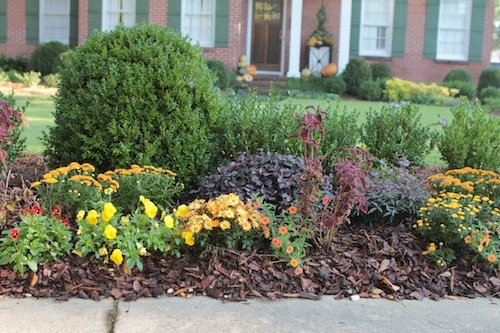 Purchase a few bags of fresh mulch and spread it around and you'll have fresh looking flowerbeds. This a great tutorial by Carmen Johnston of Southern Living Plants just click on the source links to take you to the step by step tutorial to show you how to create this look. Make sure you pin this to your Fall inspiration board!